Born in Vancouver, British Columbia in 1946, Jeff Wall cites an impressive academic background. He studied art history at the University of British Columbia, graduating in 1970 with an M.A. degree. From 1970 to 1973, Wall took art history at the prestigious Courtauld Institute in London, where one of his teachers was Édouard Manet expert T.J. Clark. Through photography, Wall achieved what Manet had through paint – a keen expression of modernity. From 1976 to 1987 Wall was an associate professor at the Center for the Arts at Simon Fraser University, Vancouver. From 1987 to 1999, he was a professor at the University of British Columbia. 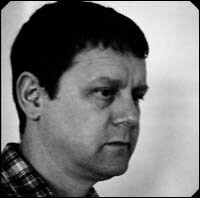 In 2002, he received The Hasselblad Award. Through the lens of the camera Wall records the unpredictable interactions in everyday life, through both staged and unstaged documentary images. His staged works are produced using actors, sets and special effects. His artistic practice is a tribute to various types of visual representation, combining aspects of photography, painting, art history, cinema, theatre and politics. His finest works deal with the consequences of human exchange. Dead Troops Talk (a vision after an ambush of a Red Army Patrol, near Moquor in Afghanistan, winter 1986) is one of his best-known works, created in the same year as the 1992 Gulf War Crisis. Controversial topics such as war and racial stereotyping and other social commentary often occur in his subjects. A flurry of international attention has focused on Wall, with retrospective exhibits taking place in major artistic centers from London, Paris, Basel, and in 2007, The Museum of Modern Art in New York. His large-scale back-lit cibachrome lightbox works as well as colour and silver gelatin black and white photographs can be seen in galleries and museums spanning the globe.